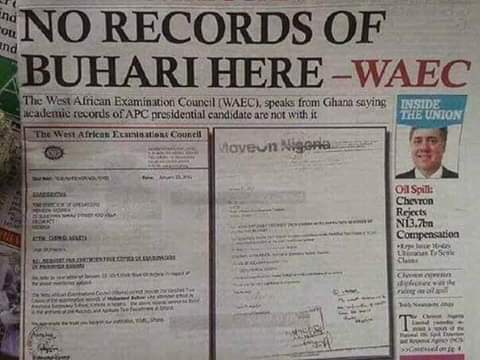 News Secret on How Buhari Obtained the fake WAEC Certificate Revealed. Secret on How Buhari Obtained the fake WAEC Certificate Revealed. 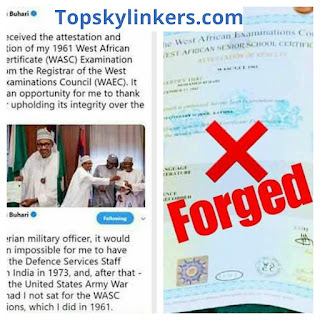 President Buhari received his attestation certificate and confirmation of school certificate result from the West African Examination Council WAEC. Where are we heading to in Nigeria? We at Topskylinkers.com rest our case here, but we will be on a watch to see the outcome of all this mess in this country.